Md. 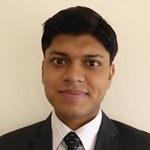 Rezwanul Haque Masud is a Research Assistant at the BRAC Institute of Governance and Development (BIGD), BRAC University, Dhaka, Bangladesh. Rezwan is conducting research in Bangladesh for ESID’s research project on Gender and the Political Settlement. His wider research interests include international political economy, international institutions and global governance. Nazneen, S. and Masud, R. (2017). ‘The politics of negotiating gender equity in Bangladesh‘. ESID Working Paper No. 76. Manchester. Rezwan has previously held internships at the BRAC Development Institute, the East Asia Study Center, University of Dhaka, and the International Education and Resource Network-Bangladesh.